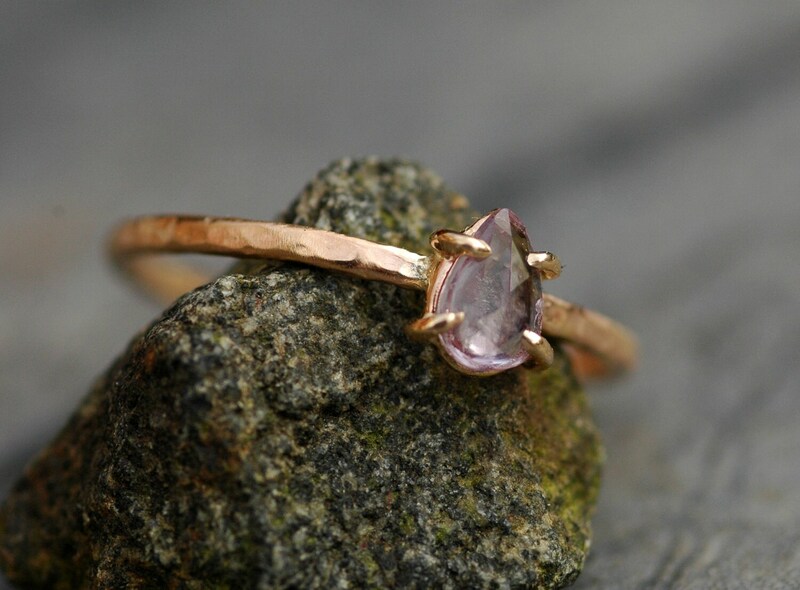 These rose cut sapphires in recycled gold engagement rings are made to order items from my Vancouver, Canada, studio. 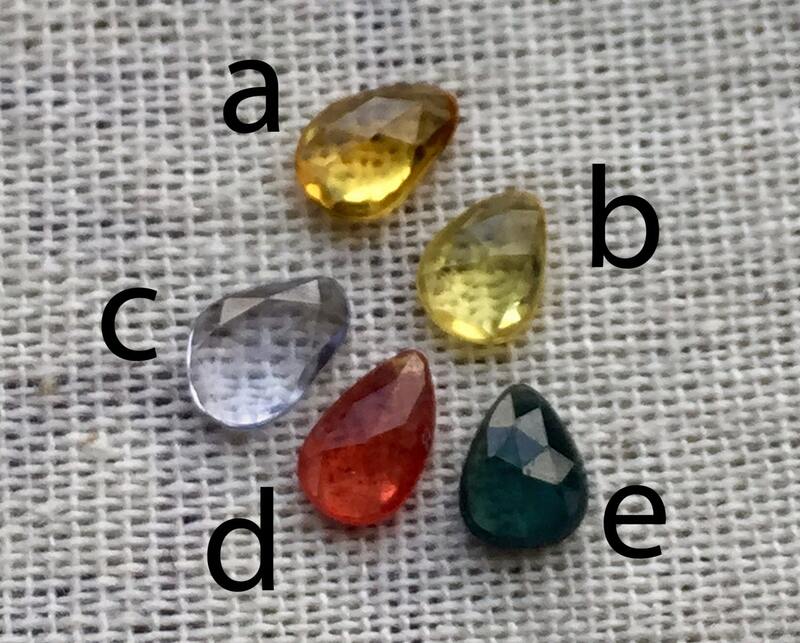 This listing is for a custom ring, made to order in your size, with your choice of sapphire, in the gold colour of your choosing (yellow, white, or rose). 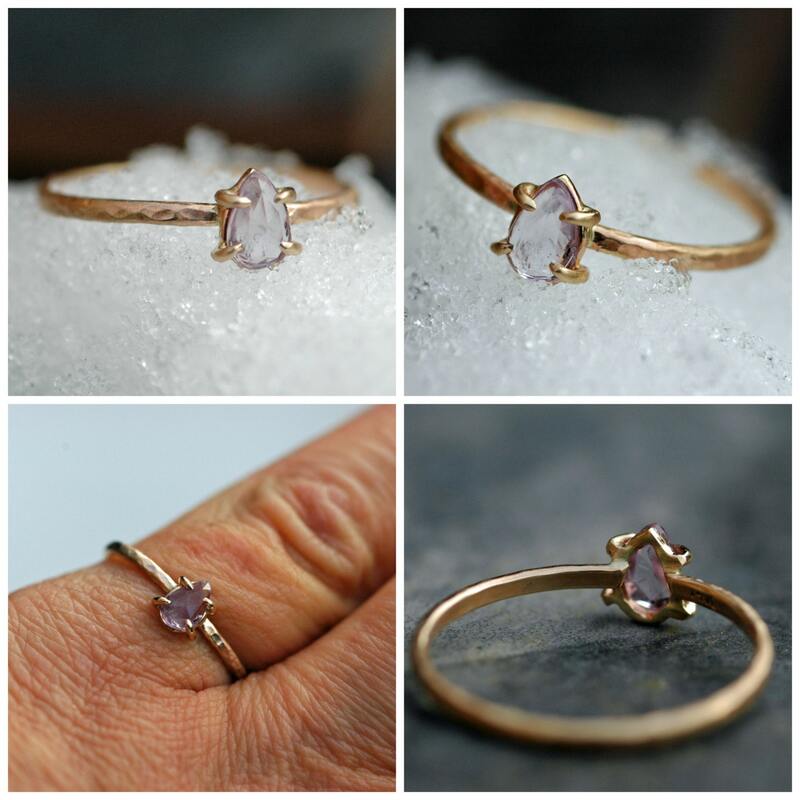 I build these rings around a gorgeous, rose cut sapphire. The stones are transparent. The sapphires have been faceted into a glittering rose cut. This is a 500-year-old technique for cutting stones, where the bottom is flat, and the top is cut into a series of facets representing the compass rose. 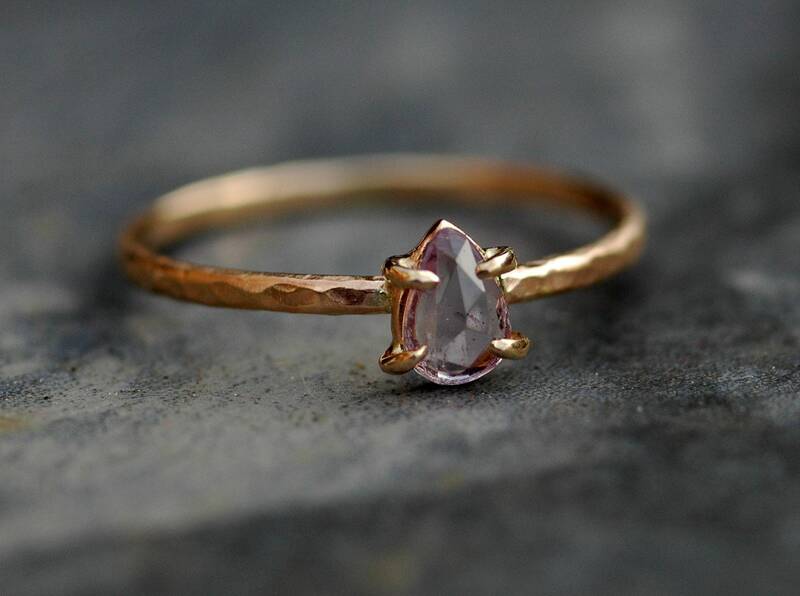 The sapphire will be set onto a hand-fabricated prong setting. It will be left open at the back, to allow the maximum amount of light to flow through the stone. 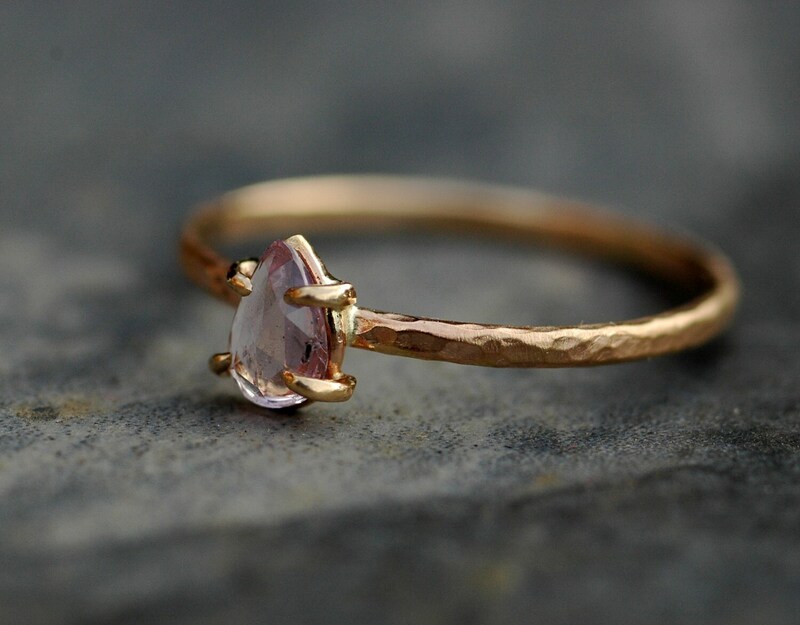 The prong setting is built of recycled 14k yellow gold. The svelte 1.45mm wide band is hammered, recycled 14k yellow gold. This lush metal has a warmer glow in real life- these photos were taken on a wintry day in overcast Vancouver. These rings can be built in any size. If you have any questions about design, band thickness, metal choice, shipping, production time, etc., please contact me through the shop, or via email at treloar [!at] telus.net I hand-build each of these rings in my studio, so any design is possible. SHIPPING/INSURANCE/IMPORT TAXES- PLEASE READ: Is by the quickest method I can use to get your rings to you. This is two business day (to most locations, but some restrictions apply) in the USA, and approximately 3-5 business days outside of Canada and the USA. It includes a tracking number. Please note- this method carries only $100 in insurance. As the rings are moving with a reputable courier and must be signed for on your end, they are very well-protected. However, on the very rare and outside chance that they should become lost or damaged in the mail, I cannot cover the cost unless you have chosen to upgrade to full insurance. If you wish to do so, please get in touch for an estimate on this insurance. Please note that I am not able to collect nor estimate the import duties your country's Customs office may charge you upon delivery. Your Customs import paperwork will be properly filled out with the contents of the package (in detail), the total value of the rings, and the fact that these are merchandise.